‘Reindeer Games’ designed by Leah’s Canvas. Leah’s Canvas was started as a collaboration effort between Embroidery Central and the owner’s daughter Leah. Leah is an artist and Embroidery Central wanted to add some more designs to their primitive stitching selection. I do not see ‘Reindeer Games’ on the link above. I will find out from Embroidery Central if the pattern is available. Primitive stitching is basically just backstitching that you can, if you want, color in with crayons. However, depending on your level of stitching you can add specialty stitches, buttons, or charms. “Reindeer Games’ was designed by Leah’s Canvas for the November Fest in Logan, Utah. It was stitched by yours truly. Felicea, one of EC’s employees, colored it in and added the buttons and charms. All of the patterns designed by Leah’s canvas are traceable patterns that can be reused a s many times as you want. All you need is a frixion pen, muslin, or other light weight material such as a bread cloth, and you are ready to go. 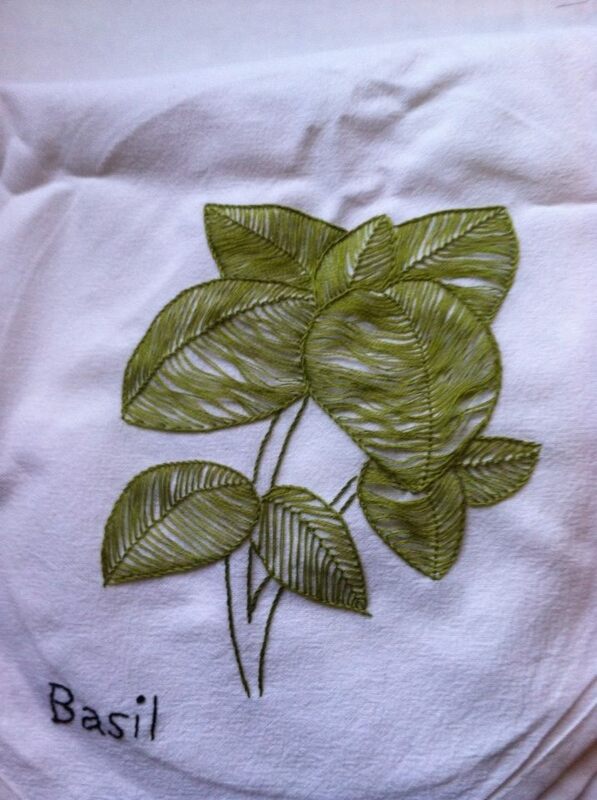 The design below was traced on to a bread cloth then stitched by me. The great thing about this young lady’s designs is the stitches all depend on you. Happy Stitching! Embroidery Central is doing trunk shows to highlight different designers. For April, they have decided to highlight Cross N Patch who mainly designs Hardanger patterns. 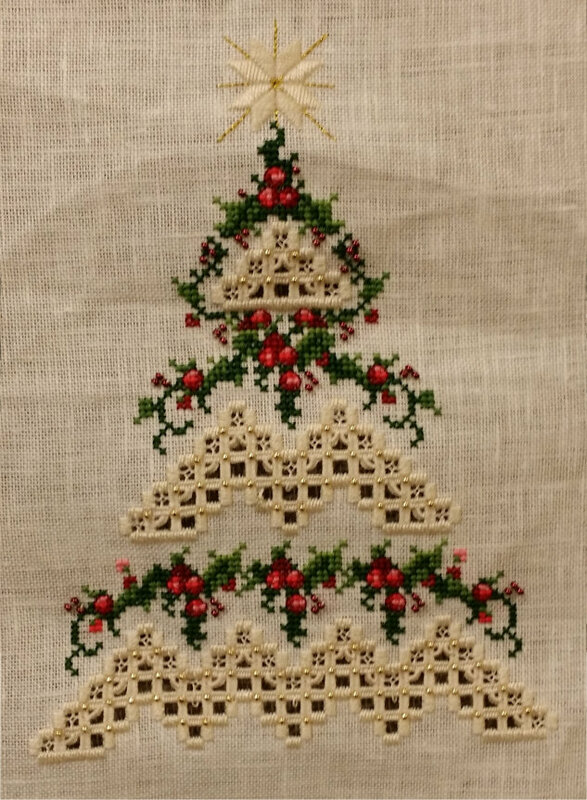 Embroidery Central will be displaying various pieces designed by Cross N Patch and stitched by local stitchers for this month only. Plus, any design by Cross N Patch is on sale for this month only. One design from Christmas Tree Lane by Cross N Patch. Hardanger looks difficult because of the cutting and the specialty stitches. In fact, I avoided even trying this needle art for a very long time. However, it is actually quite easy depending on the size of the project. The above project took me about three days. And, guess what? Embroidery Central offers classes. That’s right on Thursdays 4 – 6pm you can learn how to make an amazing heirloom piece that will be treasured for generations to come.